Some Android™ versions have an option called Smart network switch or sometimes called Mobile Network Switch and Auto-switch to mobile network. 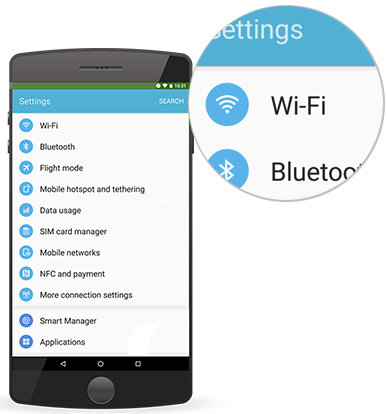 This option allows your Android device to switch between saved Wi-Fi and data connections on its own. 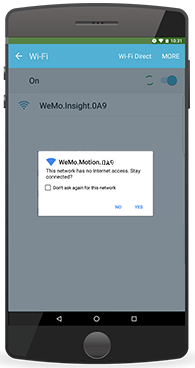 With this option enabled, your smart device may switch back to your saved Wi-Fi or data connections while you are performing the setup on your Wemo®, causing the setup to fail. Before setting up your Wemo, it is recommended that you disable this feature. 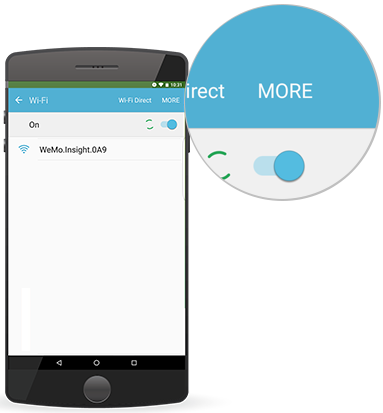 QUICK TIP: To learn how to restore your Wemo to factory defaults after the failed setup, click here. The steps below will guide you on how to disable the Smart network switch feature on your Android device. NOTE: Images may vary depending on your Android device. 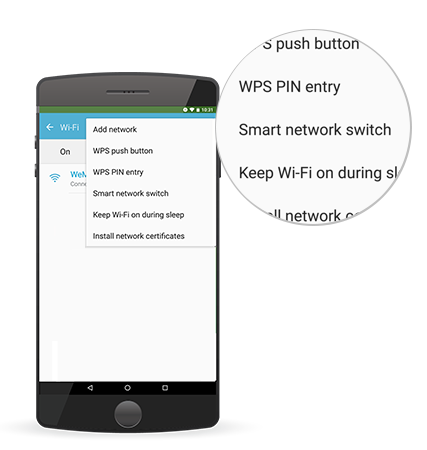 For illustration purposes, an Android phone that has the Smart network switch option is used as an example. Step 3: Tap your Wemo device. 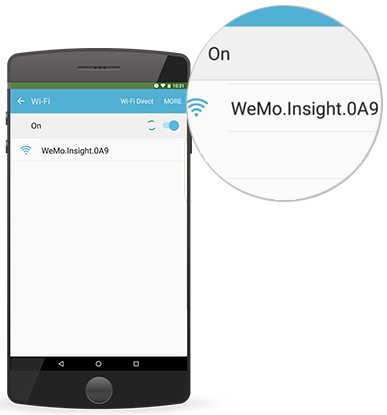 NOTE: In this example, Wemo Insight is used. Step 4: When notified that the network has no internet access, just tap on YES to continue setting up your Wemo device. NOTE: The message may vary depending on the Android version you are using. Step 5: If there is no prompt, you can manually disable the Smart network switch feature by tapping on MORE at the top-right corner of the screen. Step 6: Tap Smart network switch. 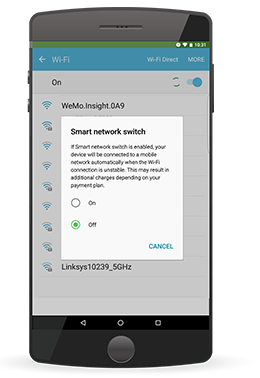 QUICK TIP: If you can't find the Smart network switch, Mobile Network Switch, or Auto-switch to mobile network option in your Android device, then it must not be supported. Contact your manufacturer to verify. Step 7: Tap Off to disable the Smart network switch feature. You have now disabled the Smart network switch feature on your Android device. You can now continue setting up your Wemo device. To learn more about setting up your Wemo, click here. Once your Wemo has been successfully set up, you can enable this feature back by repeating the steps above.